Today marks another historic milestone in the presidency of Barack Obama. After more than three years of prices at the fuel pump steadily rising, this past month saw prices spike a whopping 9% and bring the national average of a gallon of gasoline up to $3.61 a gallon for the year, 10 cents more a gallon than it cost in 2011. All of this adds up to what will be the most expensive year for drivers in history. Now to be fair, the truth is that Presidents and Congresses have only a certain amount of control over the price. But they could have a a dramatic effect on stabilizing costs. Fuel prices are largely established through the price set for crude oil on the world market. Oil, regardless of what nation it comes from is thrown into one big economic bucket and stamped with one price throughout the world. That is something which many, including Republicans often ignore when they argue for the need for the United States to increase domestic drilling. While augmented domestic drilling is certainly a wise policy, it would not necessarily solve all our problems or drastically reduce the price of gas. However; by tapping into the vast wealth of natural, domestic, energy sources like crude oil, the United States would certainly have a stabilizing effect on the energy market and the price of oil. The high price that we are seeing at the pump now is, despite a sluggish and troubled economy, a direct result of the fact that worldwide demand is up and supplies are coming from increasingly unstable and even dangerous locations of the world; i.e. : the Middle East. This means that if the United States which consumes most of the world’s oil supply, happened to increase its production of domestic oil it would help to stabilize the world oil market by increasing the number of stable, secure, and reliable locations that are contributing to the world market, thereby adding a boost to the supply side of the supply and demand dynamic that is causing the unsettling run-up in fuel costs that we are now experiencing. But President Obama and the liberal lock that Democrats have on Congress through their majority in the U.S. Senate, refuse to take advantage of our ability to exploit domestic natural resources. It is a policy that not only continues to put undue pressure on the world oil market, it also denies Americans jobs, something which more rational political leaders would see as a necessary initiative at a time when our nation is experiencing its 40th consecutive month of unemployment in excess of 8%. In this tough economy, while our federal government should be doing everything that is possible to get the economic engine of our nation moving again, it is clear that President Obama and his fellow liberals will be of no help on this issue. Since coming to power, the only discernible efforts they have taken in the area of energy have been on the mishandling of the 2009 Gulf oil disaster that saw hundreds of millions of gallons of oil gush into the Gulf of Mexico for several months, and feeble attempts to prop up misguided alternative energy efforts such as the one involving the unfolding Solyndra scandal. And as the average price of a gallon gas is predicted to reach as high as $3.90 a gallon by year’s end, Democrats, including President Obama happen to be missing in action on the issue. As Democrats gear up to re-nominate their messiah for President, a deafening silence has fallen over the liberal lala land that the left occupies. There are no complaints from limousine liberals over the price of gas or even the high unemployment rates which could be reduced by incorporating an all-of-the-above strategy into our national energy policy. This newfound silence of the left offers a stark contrast to the reaction that liberals had to the high cost of gas in 2006 when it briefly spiked to point in excess of $3.00. “Well, we knew this was going to happen. Prices are now back up to over $3.00 a gallon again. If we do nothing, within all too short a time prices they’re going to be at $4.00 a gallon and $5.00 a gallon. And there’s going to be a giant hole getting bigger, and bigger, and bigger, in every consumer’s pocketbook or wallet. Six years later and the soaring price of gas is something the left is now seemingly trying to keep a secret. But in the words of Harry Reid, “the word is out”. That genie is out of the bottle and at the moment, Democrats don’t seem to have any way to put her back in the bottle or to explain her escape. No matter how many distractions the left concoct, no matter how much President Obama and his campaign henchmen try to defame Mitt Romney, and despite all the attempts to divide Americans and then piece together a majority of the vote for the President’s reelection, far too many Americans are uniting together under what are becoming very negative campaign ads for Democrats —- the signs which contain the high price for gas that the Obama energy policy is forcing Americans to pay. Back in 2006, under the direction of Senator Schumer who was the Chairman of Democratic Senatorial Campaign Committee and in charge of getting liberals elected to the Senate, made bashing Bush on the high price of gas a mandatory theme for candidates to run on. 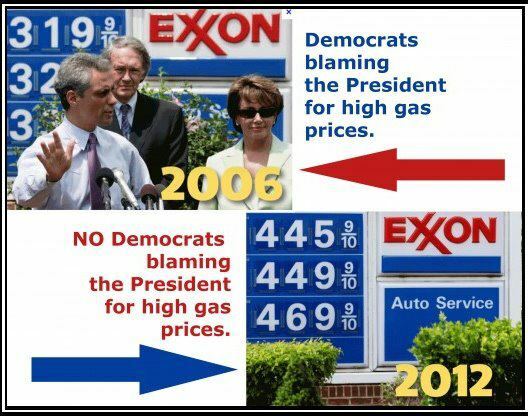 Fast forward to 2012 and Democrats are not running on the price of gas, they are trying to run as far away from those prices as many Democrats who are up for reelection are running as far away from the democratic National Convention as they possibly can. It’s just another sign of the liberal hypocrisy that forms the foundation of liberal logic but in the meantime, our President has once again made history. In addition to making history as the first President to win a Nobel Peace Prize for simply getting elected, other historic firsts include his success in putting nearly a third of the U.S. economy under government controlling by delivering socialized healthcare to our shores, the accumulation of a total debt that greater than the sum total of all previous presidents, his capping of salaries in the private sector, the first downgrade of the U.S credit rating, and the longest sustained period of unemployment in excess of 8%. Now he has achieved the historic honor of presiding over the most expensive year for motorists ever. The problem is, I am not sure how much more of the President’s historic achievements Americans afford? If Harry Reid Is Right And Romney Has Not Paid His Taxes, Where’s The IRS in All of This? I would like to say that this is the final word on the greatest question and issue facing Americans in this presidential election —– will Mitt Romney release the last 12 years of his tax return records? But it won’t be. The issue is one too rich for the class warfare waging left to let go of. But is it really an issue? Led by Senate Majority Liar, —- I mean Leader, Harry Reid, the issue of Romney’s tax returns have been pushed to the forefront of the 2012 election, mainly because Harry Reid claims that he knows for a fact that Romney has not paid any taxes. According to Reid “The word is out. 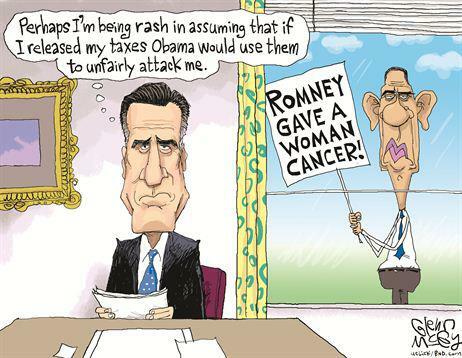 Romney hasn’t not paid his taxes”. That word only got out because Reid and other Obama surrogates have put that word out. Reid says it comes from a very reliable source who told him that Romney has not paid his taxes. The charge is one which under normal conditions could result in the filing of libel charges but the politically shrewd Reid understood that by making this charge from the floor of the U.S. Senate, he would be immune from prosecution because of a federal law that does not allow one to be sewed in civil court for their statements on the floor of the Senate. Hence the reason why Harry Reid decided to exploit the august halls of Congress with campaign rhetoric. Instead of using his time to address the problems facing the nation, he used it to carry out the dirty work of the President’s reelection campaign. But let us examine the validity of these charges. Over 80 years ago, the legendary and notorious mob boss Al Capone saw his long life of corruption and murder come to an end. But his downfall came to fruition not because our judicial system proved Capone had a hand in murder or corruption. The end of Capone’s criminal career came about only after the Internal Revenue Service brought Capone to justice in one of most celebrated tax evasion cases in our nation’s history. According to AccountingWeb, not long ago, the IRS which rarely releases documents since tax return information is considered highly confidential and is protected by strict privacy protection laws, released several documents pertaining to the prosecution of Capone under the Freedom of Information Act because of what they described as historical significance and public interest in the Capone case. Among the documentsmade available were a 7-page summary that describes various criminal investigations of Capone during the ’20s and ’30s. Each of the documents released demonstrate that the IRS was relentless in their pursuit to bring Capone to justice. In the end, between all the illegal activities conducted by Capone and between the countless people whos death’s he was respionsible for, Capone was found guilty of five counts of tax evasion and failing to file a tax return. Despite everything else Capone did, and the endless array of law enforcement entities that pursued Capone, it took the IRS to convict him of anything. Which brings us back to Mitt Romney. Does anyone believe that Mitt Romney could have been a Governor and run two campaigns for President without the IRS ever noticing that he has not paid his taxes? To think the IRS missed that or just decided to let it go is to say the least, absurd. That is especially the case since one of the main objectives conatined in President Obama’s budget requests for the Internal Revenue Service has been an attempt to reduce the “tax gap,” between what taxpayers owe each year and what they actually pay. Even the president’s most recent IRS budget request seeks funding increases for enforcement programs and in believing that every dollar spent on collecting revenue reaps twice as much money in return, the Obama administration even proposed to exclude some IRS enforcement spending from the budget caps imposed by 2011’s debt ceiling deal. From day one, the Obama White House has consistently placed a focus on enforcing prompt payment of tax bills and this year the President has sought a $402 million increase over the estimated $5.3 billion budget that the enforcement division already has. So with all this additional spending and manpower devoted to insuring that people pay their taxes, is there any logical reason to believe that Obama’s IRS just let Mitt Romney slide and refused to prosecute him for evading taxes? Or could it be that Romney avoided the same fate as Al Capone because unlike Capone, Romney has filed his tax returns and paid his taxes? If Romney hasn’t paid his taxes for the past decade or more and if the IRS has not yet realized that, than we have bigger problems than Romney’s tax bill. We have an IRS that is wasting more than $5.7 billion dollars this years, and that has wasted tens of billions over the last decade. So the real question here is if Mitt Romney has not paid his taxes, how come all the billions of dollars spent by the enforcement division of the IRS did not catch it? I mean it’s not like Obama’s IRS Administration looked the other way because Romney is a pal of the President. We’re talking about Mitt Romney, a Republican who many have long known to be a potential challenger of President Obama, not an Obama ally like Treasury Secretary Tim Geithner who failed to pay his own taxes but was rewarded with his cabinet post in charge of the IRS. The bottom line here is the Romney tax return issue is not an issue. 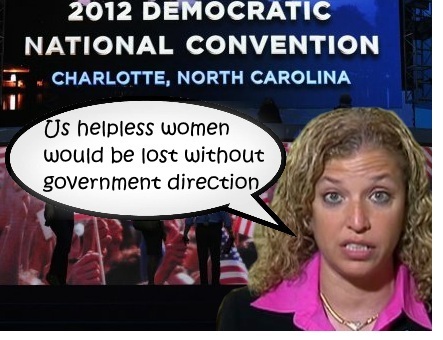 It is a distraction that the left is tacking on to their class warfare strategy. If Mitt Romney has been evading taxes, I can’t help but believe that as was the case with Al Capone, someone from the IRS would have picked up on it and Romney would be sitting in prison with the likes of Bernie Madoff, a few former Chicago Governors, or someone who should be sitting in jail, New Jersey’s failed former Governor, Jon Corzine, a man who till this day still can’t figure out where he put $1.6 billion of Goldman Sach’s money. However; some may still argue that Mitt Romney could put the entire issue to rest if he just followed his father’s example and went public with the tax returns from the past 12 years. Normally I might agree but so far this election is far from normal. Mitt Romney has not even been officially nominated for President and the Obama reelection team has already accused Mitt of being a felon, not paying his taxes, and even killing a woman. What do you think they will do with a dozen years of Romney’s personal tax returns, no matter what t hey show? Providing the left with his tax returns would be like providing a gunman with bullets. In their hands, Mitt Romney’s perfectly legal, personal finances would be used to generate an endless array of distortions that would be turned into distractions from the real issues as they expand their class warfare tactics in attempt to prove that Mitt Romney is a successful and wealthy entrepreneur. But here’s a newsflash for the left. We know Romney’s rich! Now it’s time to deal with the issues and the Obama record that the left is desperately trying to distract us from. What it really comes down to is that in Romney’s tax returns we will not find the answers to peace in the Mideast, or the solutions to our skyrocketing unemployment rates. In Romney’s returns, we will not find the cure for cancer or a way to bring down the crushing national debt that President Obama has nearly tripled. The reality is that Mitt Romney’s tax returns have nothing to do with the future of our nation and as such they really should not be the only issue we hear our President’s campaign team talking about. So it’s time for the left to take the advice that can be gleemed by the name of one of their biggest front groups, MoveOn.org, —– and move on already.